When you think about sources of toxic air pollution, one of the first things you might picture is a large power plant with huge smoke stacks belching black clouds into the sky. But the truth is that smaller power plants collectively contribute more to the cancer risk faced by Americans every day. Consider the Evergreen Community Power Plant near Reading, Penn., a small power plant that burns wood waste from the forestry and construction industries. 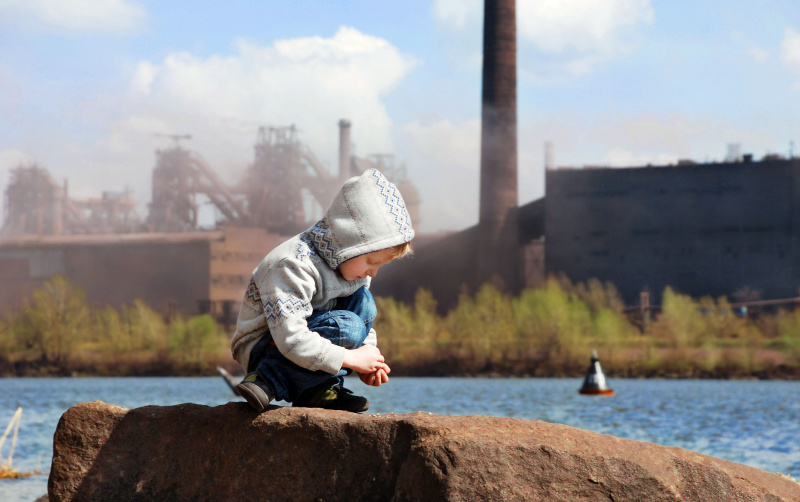 The plant spews out an alarming toxic cloud of chemicals, including lead, chromium, nickel, mercury, cobalt, beryllium and cadmium, many of which have been shown to cause cancer. But the Evergreen community may not even know it's there because the facility avoids the public disclosure and public process requirements faced by larger power plants by claiming to keep barely under the emissions thresholds that define it as a small, stationary source. According to the EPA, smaller polluters like this -- including factories and chemical plants that use their own boilers to provide heat and power -- are responsible for more than a third of the cancer risk threatening Americans from air pollution. That's twice the risk from major sources such as large coal-fired power plants. This isn't surprising when you consider that there are more than 180,000 of these smaller boilers in and near communities like Reading, Penn. across the nation -- compared to just over 14,000 larger power plants. Congress long ago recognized that we must deal with the cumulative risk from smaller polluters. In 1990, Congress passed amendments to the Clean Air Act directing EPA to reduce the cancer risk from these sources by at least 75 percent. Since the announcement of this goal, let's just say that the EPA hasn't done so well, and a regulation released last year demonstrates why. The small, dirty power plants classified as area-source boilers emit thousands of tons of toxic pollution every year. Yet rather than require these plants to use the best pollution controls available, the new regulation essentially only calls for a tune-up -- routine maintenance -- every two to five years. In addition, the EPA's new regulation, which it has been working on for 10 years, is supposed to eventually reduce the cancer risk by at least 75 percent. But by EPA's own estimate, this will lower cancer-causing pollution from these plants by only about 1 percent. Even though the clearly defined goal is 75 percent. Even though there are pollution control methods that could reduce hazardous metal emissions by up to 99 percent. The EPA is doing its best to downplay its inadequate response on reducing pollution from these smaller, stationary sources. In its latest "progress" report sent to Congress last week, the agency bragged about a reduction in lead pollution -- but that resulted from regulations phasing out leaded gasoline from small, mobile sources like cars (a noteworthy achievement, but one that is completely separate from the standards and 75 percent goal set for stationary sources). Other pollutants are "trending down," according to the EPA, but it didn't say by how much. And for many other toxic pollutants, including several the EPA itself has identified as posing the greatest risk to human health, the EPA didn't claim any progress at all. Zero. Zilch. Nada. How could there be so little progress after nearly 25 years? The EPA has too often delayed implementing needed standards, and opted to require weak solutions -- like tune ups that will only reduce cancer risks by 1 percent -- rather than meaningful pollution controls. In this case, the agency charged with protecting the American people has let us down. In doing so, it has ignored the clearly expressed desire of Congress to do more -- much more -- to lessen our exposure to dangerous and toxic pollution.